Here’s what’s up in the world of TV for Monday, June 12. All times are Eastern. 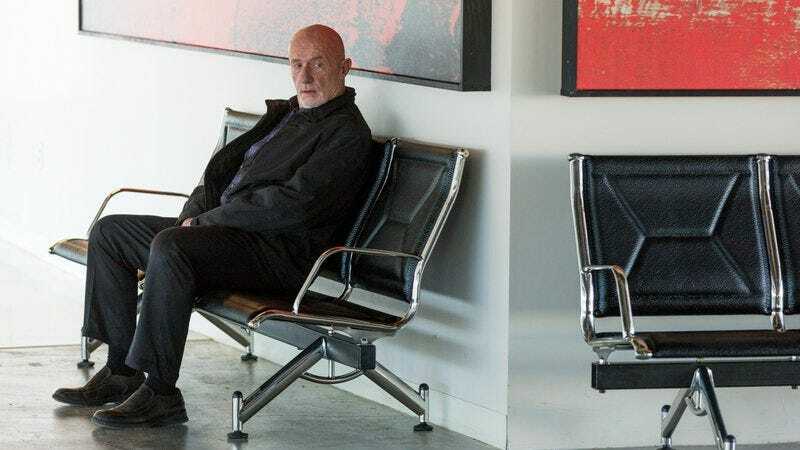 Better Call Saul (AMC, 10 p.m.): It was a “Slip” that came before tonight’s “Fall” on Better Call Saul, but there’s also plenty of pride on display, as Chuck (Michael McKean), bristles over his insurance’s company’s sudden lack of faith, while Jimmy (Bob Odenkirk) has the nerve to question Howard’s (Patrick Fabian) commitment to his clientele. Mike (Jonathan Banks) and Kim (Rhea Seehorn) aren’t as obvious about it, but they’re ready to make moves of their own. Donna Bowman will be there to measure everyone’s success. Angie Tribeca (TBS, 10:30 p.m.): This late-night comedy has only gotten more ridiculous in its third season, as the Really Heinous Crime Unit, led by Angie Tribeca (Rashida Jones), trailed the perp known as Sniglet. Angie and Jay successfully thwarted his attempts to liquefy humanity with a penguin virus, but in the season-three finale, will have their hands full trying to save the medical examiner, Dr. Scholls (Andrée Vermeulen).